*NRV – Nutrient Reference Value µg – microgram, mg – milligram, IU – International Unitsnits. 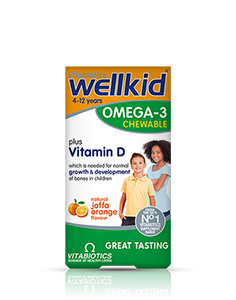 CHILDREN (3-7 YRS): CHEW ONE OR TWO PER DAY. Do not exceed the recommended intake. Do not give to children under 3 years. Chew before swallowing. Store below 25°C in a dry place, out of sight and reach of children. Ensure lid is tighly closed. Food supplements must not replace a varied and balanced diet and a healthy lifestyle. As with other food supplements, consult your doctor or pharmacist before giving to your child if they are under medical supervision, have epilepsy, suffer from food allergies, or are allergic to any of the ingredients. How and when should Wellkid Peppa Pig Pro-tummy soft jellies be taken? How many soft jellies does one bottle of Wellkid Peppa Pig Pro-tummy contain? Does Wellkid Peppa Pig Pro-tummy need to be stored in the fridge? 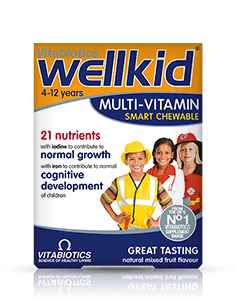 Are there any undesired effects whilst taking Wellkid Peppa Pig Pro-tummy soft jellies? 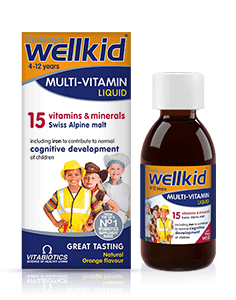 Are Wellkid Peppa Pig Pro-tummy soft jellies recommended with any other Vitabiotics products? 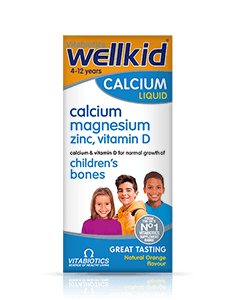 Are Wellkid Peppa Pig Pro-tummy soft jellies suitable for vegetarians? 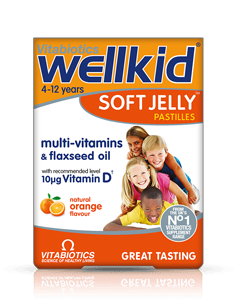 Have Wellkid Peppa Pig Pro-tummy soft jellies been tested on animals? For children aged 3-7 years. Chew one or two Wellkid Peppa Pig Pro-tummy soft jellies daily. These soft jellies have not been designed to be swallowed whole. 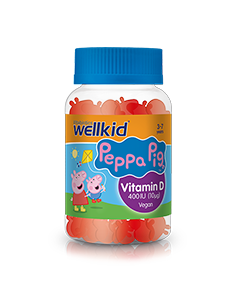 Wellkid Peppa Pig Pro-tummy soft jellies should not be given to children under the age of 3. It is important to ensure that your child does not take more than the recommended amount. Wellkid Peppa Pig Pro-tummy contains 30 soft jellies. There is no need to refrigerate Wellkid Peppa Pig Pro-tummy. Store below 25°C in a dry place, out of sight and reach of children. Ensure lid is tightly closed. 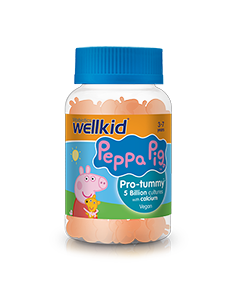 Wellkid Peppa Pig Pro-tummy soft jellies have no known side-effects when taken as directed. Do not exceed the recommended daily intake. In case of overdose, seek medical advice immediately. As with all supplements, seek professional advice before using if your child is under medical supervision or suffers from any food allergies. 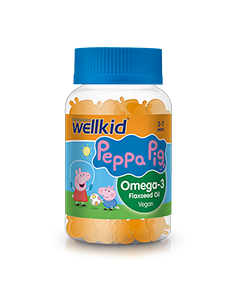 Wellkid Peppa Pig Pro-tummy soft jellies can be taken alongside Wellkid Peppa Pig Multi-vits or Wellkid Peppa Pig Vit D and Wellkid Peppa Pig Omega-3. 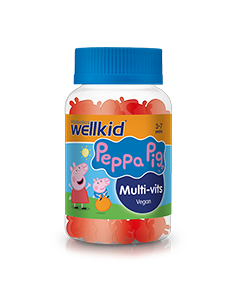 Wellkid Peppa Pig Pro-tummy are suitable for vegetarians and vegans. All ingredients including the gelling agent, come from a vegetarian/vegan source. No. 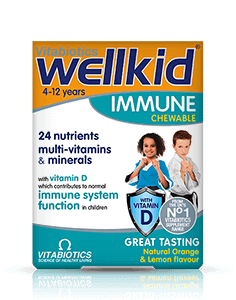 Like all other products in the Vitabiotics range Wellkid Peppa Pig Pro-tummy soft jellies have not been tested on animals.